Provides professional liability protection for claims or suits resulting from real estate agent or broker professional services. AIG Underwriters have seen an uptick in "undisclosed COCs" which means that when the new business inspection comes in, the home is in some state of renovation. This situation can get really sticky for all involved. If it's something major, AIG will need to obtain a course of construction questionnaire, there will be requirements for alarms, etc., premium will go up (potentially significantly), all of which may not sit well with the customer. If this information can't be obtained quickly AIG may not be able to maintain coverage of the risk. Insureds are not always forthcoming with information but the other concern is that the AIG policy contains special language that may invoke a large deductible in the event of claim when renovations are found to be going on at the time of the loss and AIG has not been notified. AIG could possibly apply a 15% deductible at the time of a loss. 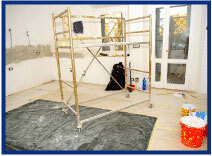 Many times the builders risk policy is running out and can't be extended. If they are down to punch list type items, AIG can have a Risk Management Specialist talk to the builder and AIG may be able to help. AIG has a new program for ground up construction valued at $5m or greater called Smart Build. AIG will consult from the beginning of the project to enhance safety and mitigate loss potential. AIG will write these as an accommodation for current clients but generally not for new business. So please let us know up front before binding if you know this is going on so we can talk it through with you. There is a place on the bind request form to indicate that you have verified no renovations going on, so you can use that as a reminder to double check. AIG's Private Client Program is available to registered members in all states. Check out www.bigmarkets.com. and click on Affluent Program - New Business to learn more! 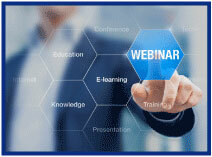 Join Big "I" Professional Liability for the next webinar in the Big "I"/Swiss Re Corporate Solutions Agency Risk Management Essentials series, Swerve to Avoid Agency Liability: All About UM/UIM. The webinar is set for February 21, 2018 at 2 p.m. Eastern. In a brief, one-hour webinar our panelists will take a look under the hood at Uninsured Motorist/Underinsured Motorist (UM/UIM) coverage. We will also provide you with some helpful risk management tips and some claims examples of how bad claims happened to good agents when placing auto coverage. The panel discussion will feature Bill Wilson, CPCU, ARM, AIM, AAM, Founder & CEO, InsuranceCommentary.com, Matt Davis, Claims Manager, and Jim Hanley Director, Agency Professional Liability Risk Management will moderate. Fasten your seat belts and register today for "Swerve to Avoid Agency Liability: All About UM/UIM." Competitive rates lead to better retention, but a rate increase after an accident can get your customers to start shopping elsewhere. With Accident Forgiveness, the first at-fault accident incurred as a National General customer will not impact your RV customer's rates. National General also helps you retain accident-free RV customers with Diminishing Deductible coverage. When your RV customers add this optional coverage, they will receive 25% of their deductible waived (up to 100%) for each annual renewal that they have no claims. Personal belongings coverage for full replacement cost up to $3,000 - From laptops and linens to attachments and accessories, their belongings are automatically insured for what they paid - not a depreciated amount. You can add more coverage if they need it. Automatic coverage, designed specifically for the way they really use their RV - at no extra charge. Optional Full Replacement Cost Coverage - We give your client a comparable new RV if theirs is totaled or stolen.1 This protects them from depreciation - they could save thousands! Permanent Attachments Coverage - We automatically insure permanent attachments for the full amount it would cost to replace them - not a depreciated amount. Designed to provide extended coverages that make sense for RVs. Emergency Expense Allowance - National General Insurance will reimburse your client up to $100 per day (maximum $500) for food and lodging if a covered accident leaves them stranded more than 100 miles from home. Provides peace of mind if they ever get stranded. Full-Timer Coverage - For RVers who live in their RV full-time, we offer specialty coverage with their specific needs in mind. 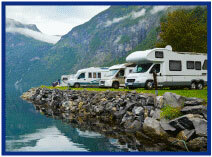 Just the right combination of coverages for those who live in their RVs - not offered by regular car insurance. Storage Option - Clients can save money by suspending the coverage they don't need during the months their RV is not on the road. They'll still be fully protected against threats like fire, storms, wind and theft. Just six months of this exclusive Storage Option could save insureds up to $400! Our panelists will take a look under the hood at Uninsured Motorist/Underinsured Motorist (UM/UIM) coverage. We will also provide you with some helpful risk management tips and some claims examples of how bad claims happened to good agents when placing auto coverage. The panel discussion will feature Bill Wilson, CPCU, ARM, AIM, AAM, Founder & CEO, InsuranceCommentary.com, Matt Davis, Claims Manager, and Jim Hanley Director, Agency Professional Liability Risk Management will moderate. Fasten your seat belts and register today for "Swerve to Avoid Agency Liability: All About UM/UIM." Are we facing a new protection gap? What is the current impact of increased frequency and severity of flooding events in U.S.? How are these trends impacting the NFIP and giving rise for increased flood insurance privatization? How might greater privatization change the marketplace and improve protection? All Big "I" Virtual University webinars include a 'seat' to attend live, a link to the on-demand recording, and a written transcript. Consider presenting conference style for the entire agency to benefit from the information shared. If looking for quick strikes of information on focused topics, take a look at the 20-minute Lightning Learning series for 2018. Congratulations to this week's winners - Kylee Lantz (PA), Megan Yochum (OK), Nikki Eagle (NM), Morgan Ellis (PA), & Lynn Grajkowske (SD). Congratulations to our agent in Florida on a Monoline Small Commercial Automobile sale of $13,490 in premium!